I’ve already posted a few bits of the material for the New York Road Trip adventure for Trail of Cthulhu I’ve been working on. I’d got the basic form of the adventure in mind – a pretty open sandbox affair where the player’s investigators follow a series of clues left by a previous group who took the road trip. 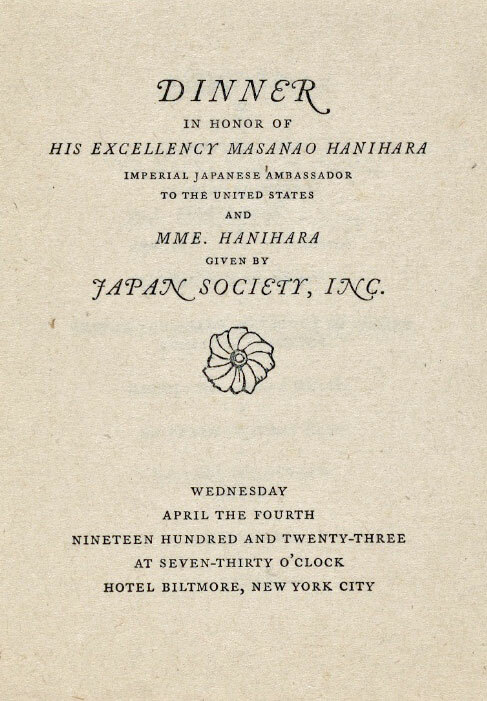 I was looking for a hook which I’ve now found in a menu from the Hotel Biltmore at the start of the trip for a dinner for the Japan Society in 1923. It seems to have been quite a large affair with a lot of important people in attendance. I’ll be posting my none spoiler notes as I go to my new New England Road Trip Adventure pages.